Air Nunavut Ltd is currently seeking a licenced Aircraft Maintenance Engineer with experience on Beech King Air B200 aircraft for our Iqaluit base. Strong electrical/avionic experience for the Beech King Air would be an asset for employment. We offer a very competitive rotational salary based on a daily rate to the right candidate who has the experience and skills to carry out the daily maintenance activities within Air Nunavut AMO. • Carry-out all scheduled and non-scheduled maintenance. • Work without supervision to carry out aircraft defect rectification and inspections. • Control aircraft future maintenance schedule for inspection, component replacement, via hourly, calendar, or cycles as required by Win Air future maintenance forecasts. • Ensure condition, calibration and safety of all Air Nunavut tools and equipment. • Maintain and ensure a clean & safe work environment. • Carry out the maintenance on Company aircraft consistent with standards of airworthiness and the quality requirements of the company MCM. • Ensure that all tooling required for each individual assigned task are in a satisfactory condition and within its calibrations date. • Maintain the upkeep and stock levels of all company consumables, parts, and components. •Must be team orientated and have a positive attitude. •Must have minimum three years’ experience in servicing, trouble shooting, repair, & modifications for the king Air B200. •Must be able to perform & complete all documentation i.e. Log book, work orders, additional work sheets, deferrals & MEL’s. •Must have completed Transport Canada Approved Training. 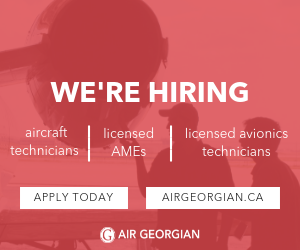 •Must have a good knowledge of avionics and electrical systems. •Must have knowledge of aircraft maintenance parts, materials, shop procedures & manuals amendments. •Garmin G1000 experience would be an asset. •King Air B200 experience with PT6A-41, -42, and -61 would be an asset. •Knowledge of Win Air System Future maintenance scheduling would be an asset. understanding of the responsibilities associated with this position as a AME. •Must hold a valid Driver’s Licence. •Must be able to acquire a Restricted Airside Identification Card (RAIC). If you are interested in this opportunity please submit your resume and cover letter to us at the following email address below. Please put "Maintenance Engineer + your name" on the subject line. We would like to thank you for your interest in Air Nunavut Ltd., however only selected candidates will be contacted.